Oil and gas E&P companies, challenged by the need to handle the massive amounts of data that are now available to them, are in need of advanced technologies to help them optimize their work. 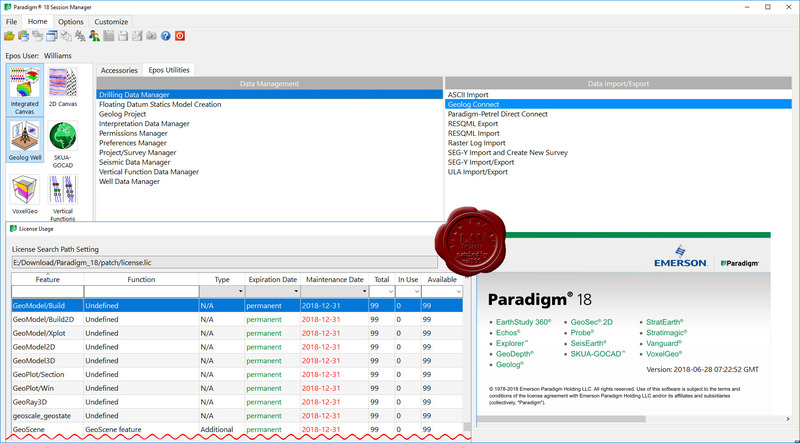 Emerson Paradigm, the leading technological innovator in the industry, has included in the Paradigm 18 release solutions aimed at providing more accurate results in less time, and with less effort on the part of the user. Through automation, integration, collaboration, and product optimization, Paradigm 18 enhances your work experience and provides the solutions you need in today’s rapidly-changing world. Artificial intelligence capabilities enable quick and reliable identification of geologic facies from seismic and wellbore data. Unification of the user interface and data management enables faster results with less effort. Support for applications running on the Cloud makes it easier than ever for remote teams to work together. High resolution processing, imaging, interpretation and modeling result in more accurate earth models. PipelineStudio is the industry-leading pipeline management design software and engineering solution that combines graphical configuration and reporting tools with industry-proven simulation engines. It provides fast, accurate, robust and reliable answers to a wide range of steady-state and transient analysis challenges. PipelineStudio delivers rapid and accurate offline Pipeline management design, planning and hydraulic analysis for natural gas and liquid pipelines through advanced state-of-the-art simulation techniques. 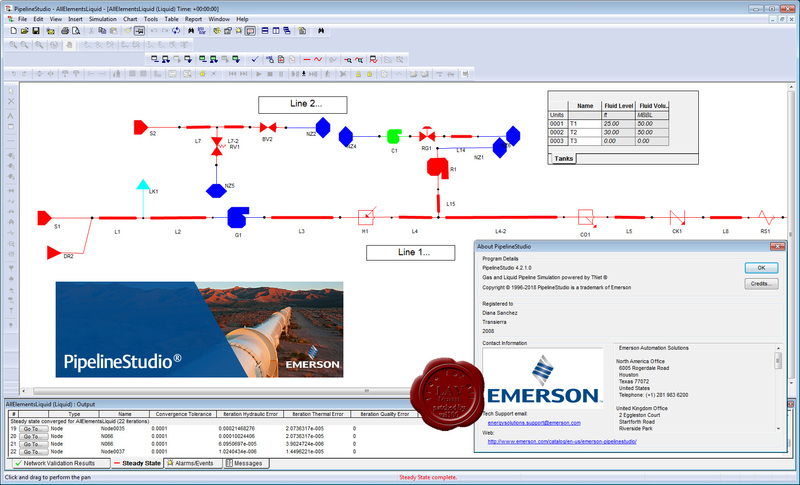 Features: Flow assurance; Pipeline management design; Designing, routing, sizing of pipeline networks; Upset, leak and survival time analysis; Strategic, operational and capacity planning; Rapid assessment of unscheduled changes in operation; Operational prognosis; Compressor requirements; Fuel consumption calculations; Line pack management; Assessment of storage requirements; Surge Analysis. FlowCheck software is a thoroughly tested flow calculator for verifying electronic flow meters. FlowCheck uses standard equations to compute the flow of hydrocarbon gases or liquids through orifice meters, turbine meters, and pipe provers. FlowCheck is a program built by measurement professionals for measurement professionals.